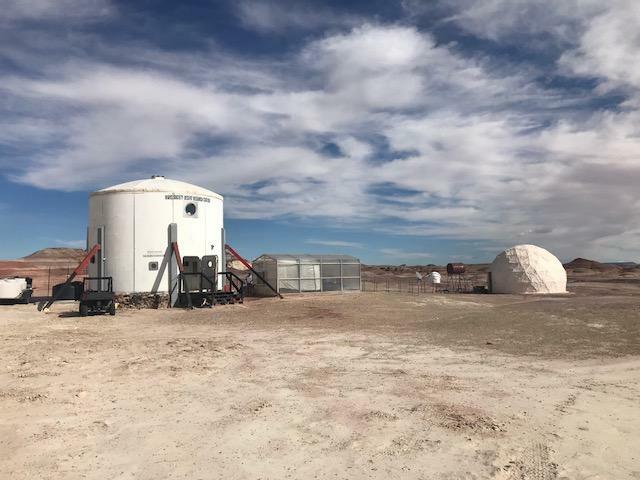 The Mars Society is pleased to announce that we are finally able to offer student interns the opportunity to come to our Mars Desert Research Station (MDRS) campus in Utah to work on projects related to their educational and career goals. We are very excited to have another way for students dedicated to working in the space sector to gain valuable experience in human spaceflight and living on the Red Planet. These MDRS interns will not be part of a crew, but rather will work independently on specific projects that will give the crews a more realistic experience. For example, our first intern - Atila Meszaros - will arrive at the station in January 2018. He is a biological engineering student from Peru who will be working to get our aquaponics system fully operational. We need someplace for these interns to live on-site in order to continue offering these amazing educational opportunities, as there is no available inexpensive lodging nearby. We would like to purchase a safe, comfortable older travel trailer so incoming interns will have a place to reside while they are at MDRS. If you are interested in helping with a contribution for this initiative, please click here to make an online gift. If you have an older trailer that you could donate to the Mars Society for student housing, please contact Shannon at: srupert@marssociety.org. Thanks and happy holidays!